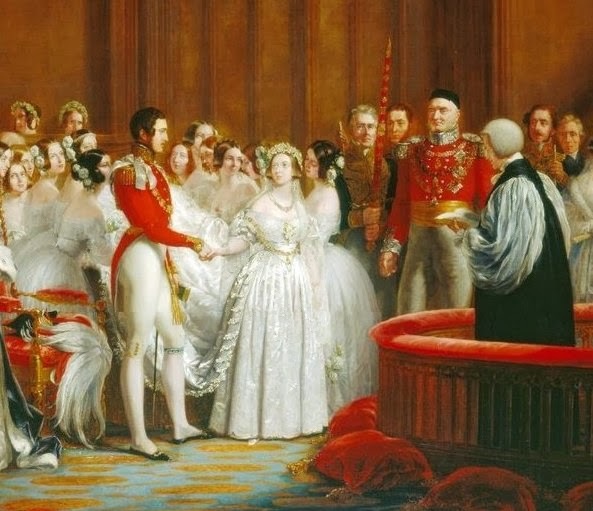 In 1840, Queen Victoria decided to be married in a white gown, and thus started a fad which is still with us. She chose white because she had some lace that she was very fond of, and wanted to use it in her wedding. There was nothing traditional about it. 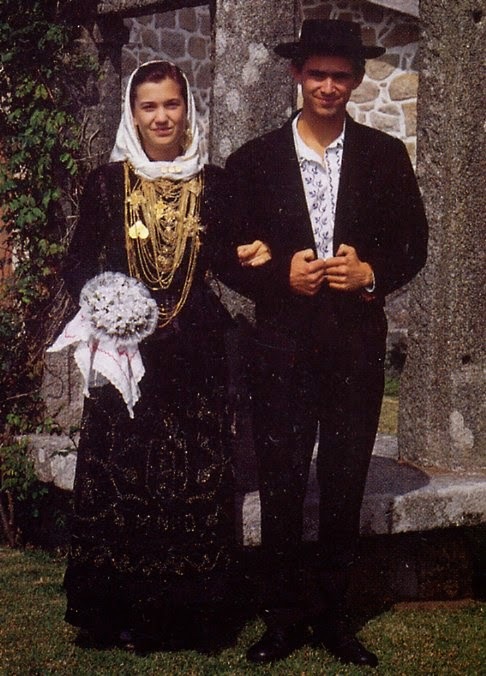 There was at that time no tradition of being married in white. 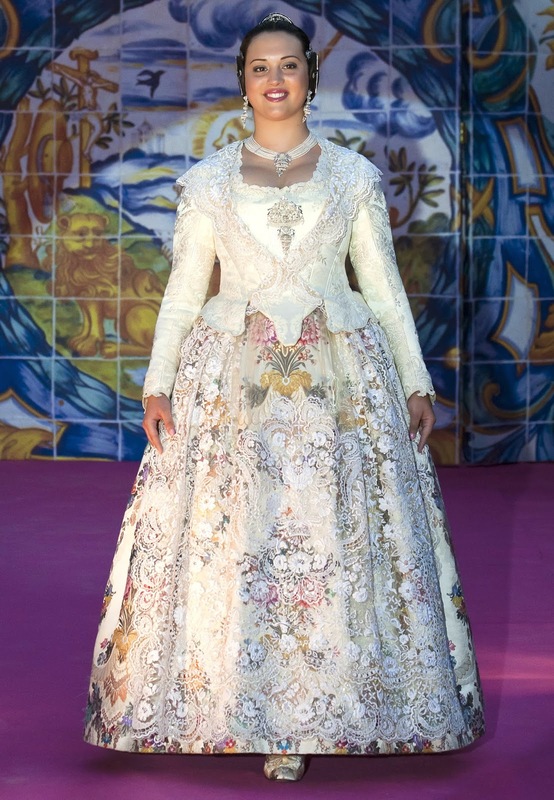 Portraits of the wedding, like the one above, were widely seen and her choice in fashion was copied. All the symbolism attributed to the white gown are later accretions. 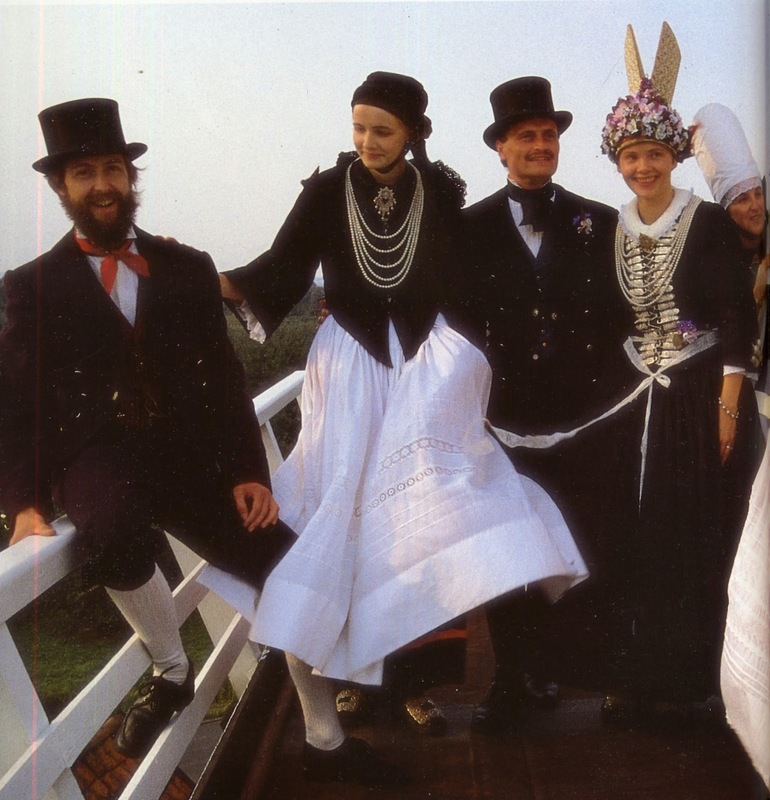 People have, of course, always gotten dressed up for their weddings. 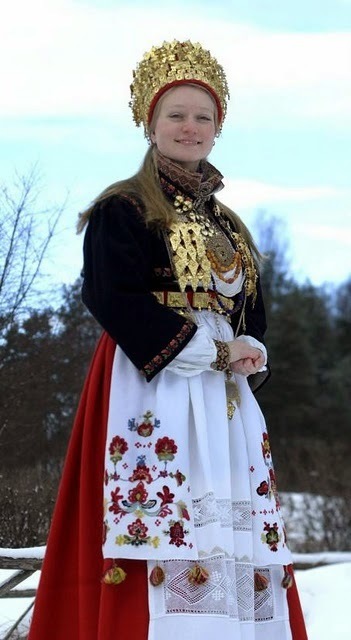 Often the bride had spent years embroidering parts of her outfit, but generally it was a more colorful and elaborate version of the clothing she would wear on special occasions for all of her life. 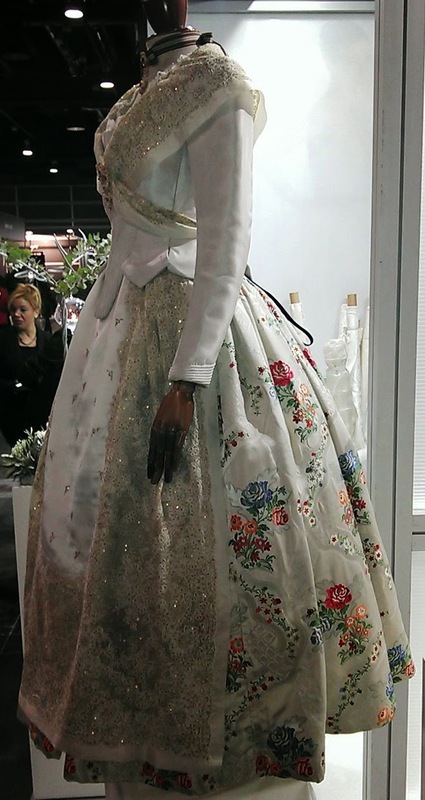 Very commonly traditional bridal dress incorporated flowers and a crown or wreath of some kind. 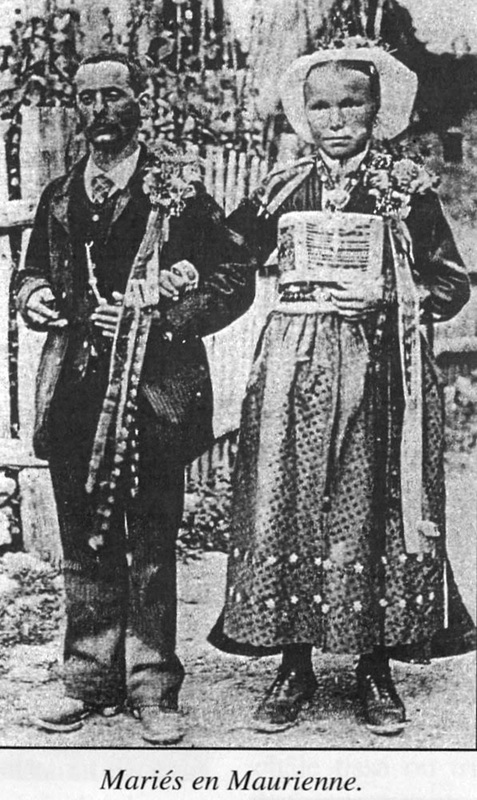 There was no color considered to be specific for weddings; wedding dresses were often black, or red, but usually very colorful. They were rarely plain white. 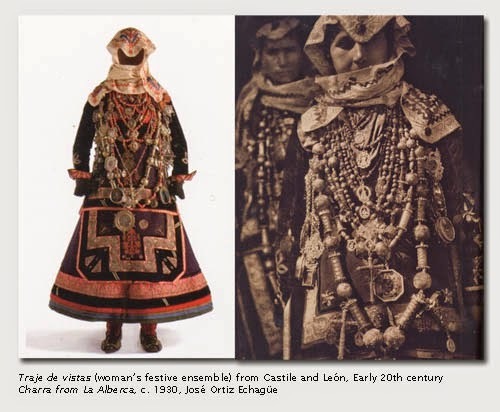 Also, while some elements, such as the crown, were reserved for weddings, most of the wedding outfit continued to be worn on special occasions. Queen Victoria could certainly afford to have a gown made for just the one occasion, but most people did not. 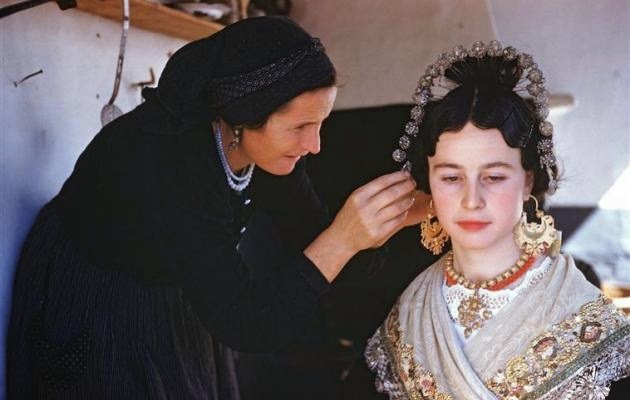 Many of the so called 'traditions' connected with modern western weddings are in fact recent innovations. 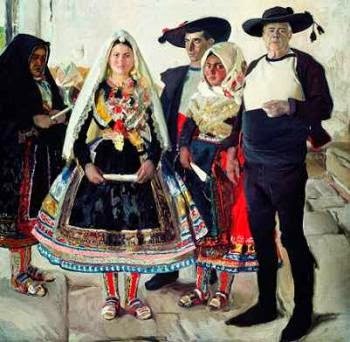 Being of Ukrainian background, I find some of them bizarre, and very un-European, such as the veil, the sequestering of the bride from the groom on the day of the wedding, the giving away of the bride, all of which suggest more a middle-eastern mindset in which the woman is treated as chattel, rather than an egalitarian European one. And of course, many of the 'traditions' are designed to sell things; after all, weddings are big business. 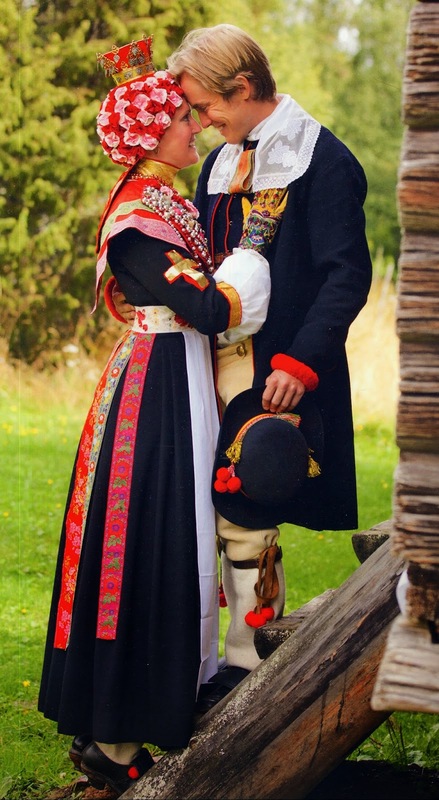 Here are some examples of Bridal outfits from around Europe which are truly traditional. 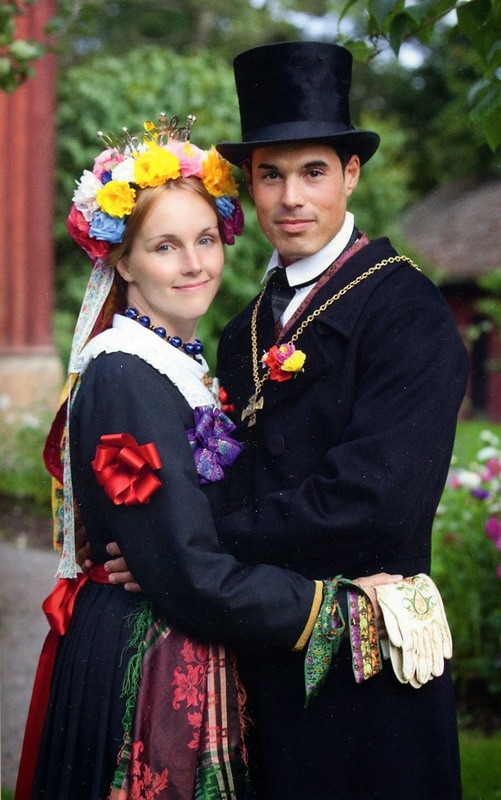 If you have a strong connection to a particular ethnicity or place, I strongly urge you to research your background, and make your wedding more truly meaningful, rather than just another carbon copy of generic western culture. 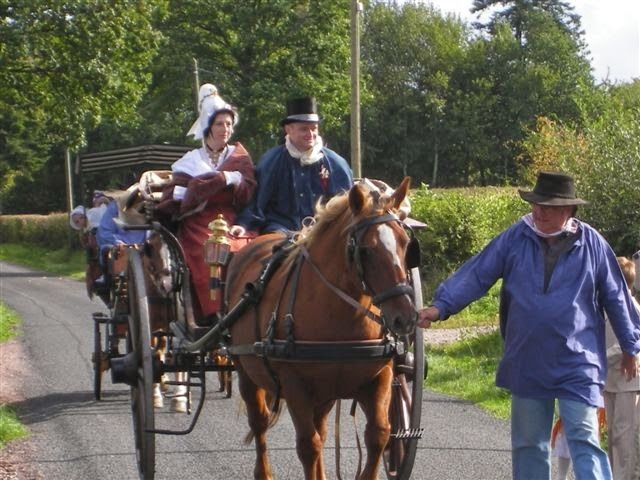 There ARE ways of doing things that do not involve dressing up like Queen Victoria. Please enjoy the following selection, which, by the way, is far from exhaustive. There are many more. I found so much material that I decided to only do a quick scan of western Europe. 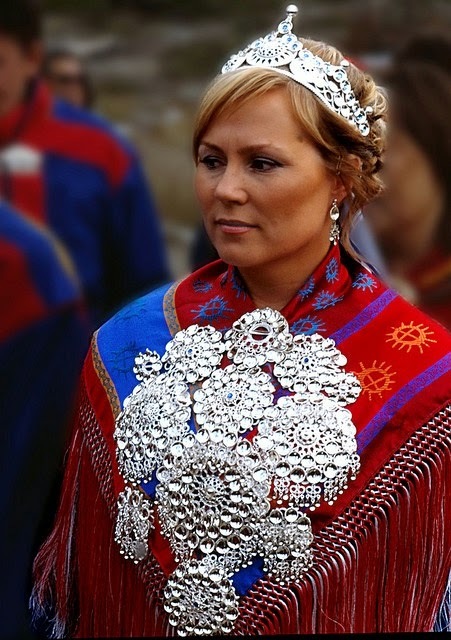 A Saami bride borrows many silver brooches to wear on her silk shoulder scarf. 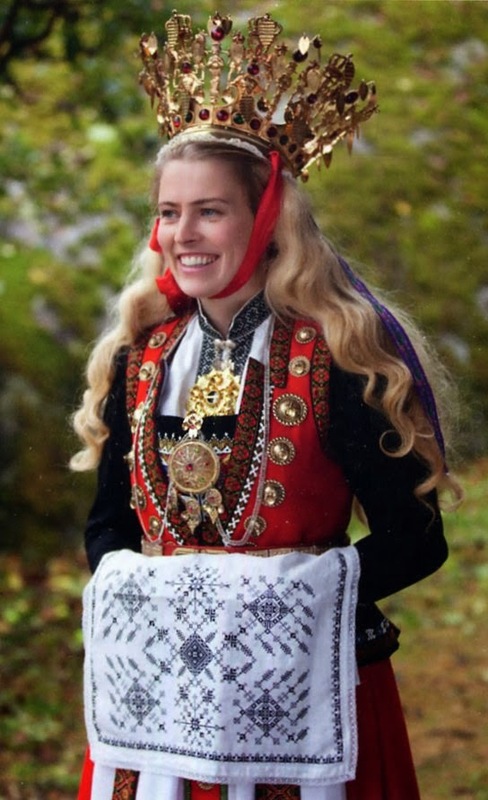 A crown, as in other parts of Scandinavia, is also worn. 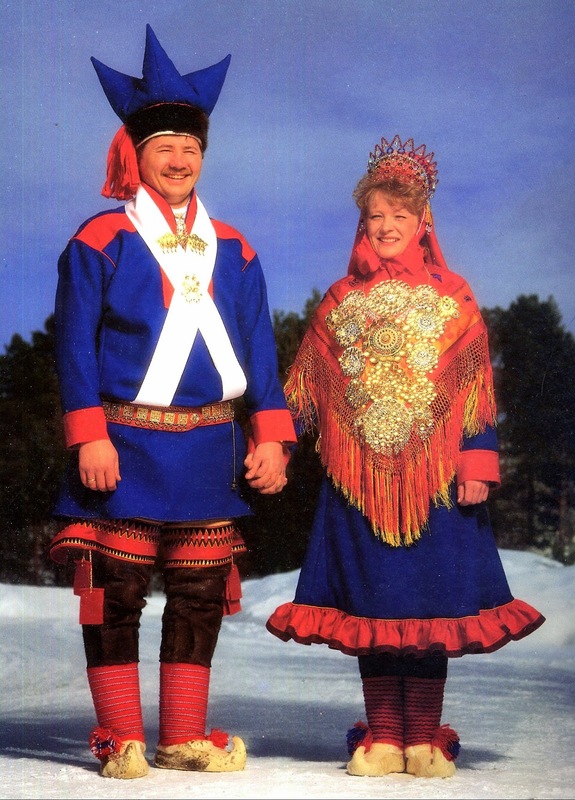 In Norway, crowns come in two forms. 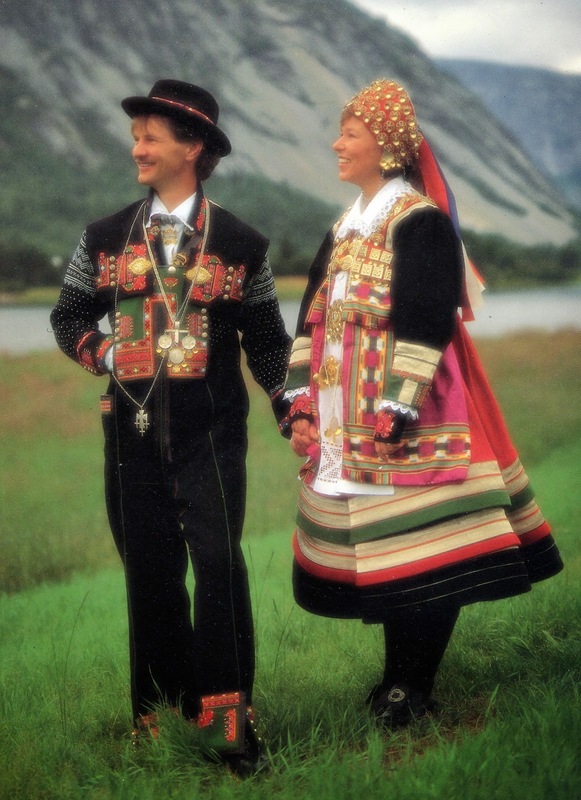 The more common is shaped like a stereotypical crown, like this very large example from Hardanger in Hordaland. 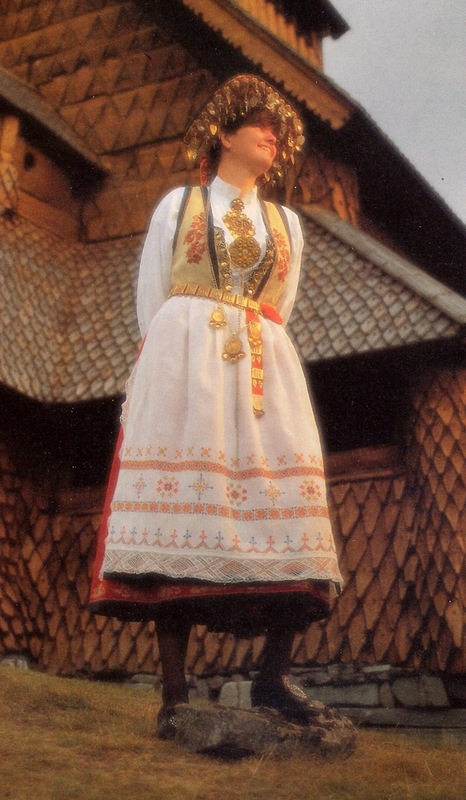 and East Telemark, which also includes a special white apron and an embroidered cloth over that. 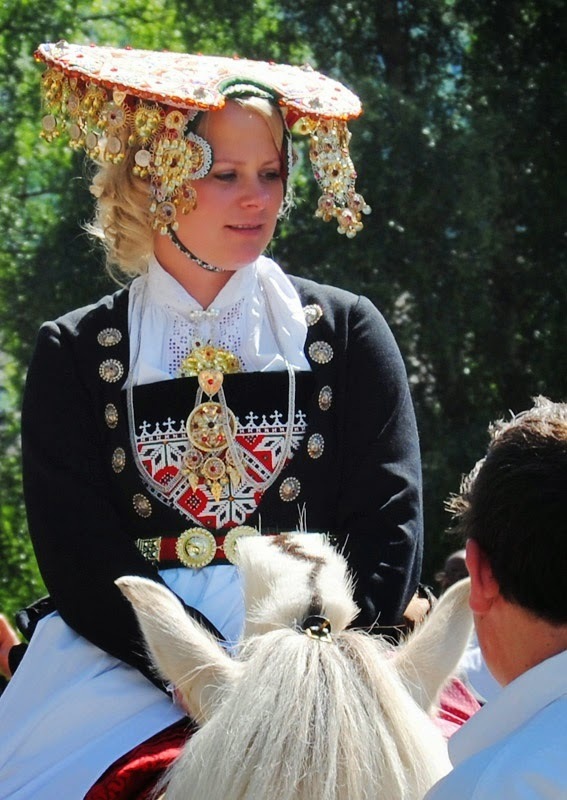 In Setesdal, the crown is shaped more like a tiara. Here they also have a special white apron with a colored silk one over it. 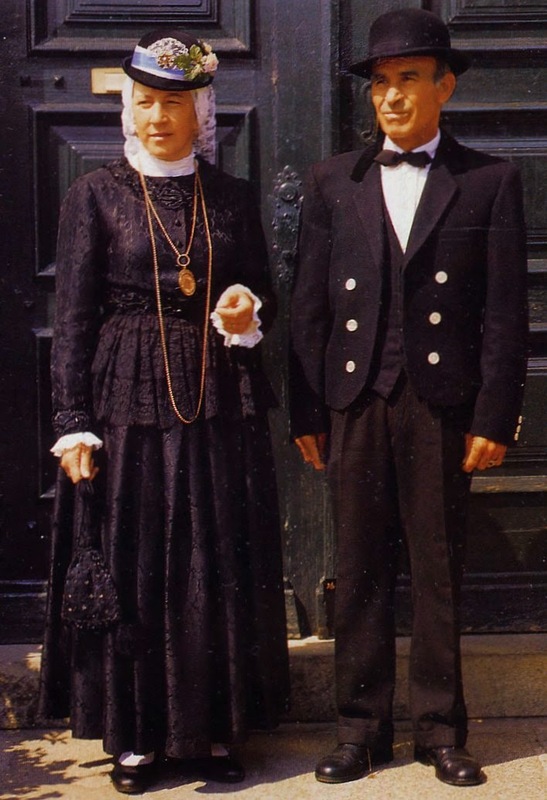 The bridal outfit also includes a red frock worn over the normal white and black ones. There are, of course, many other local variations. 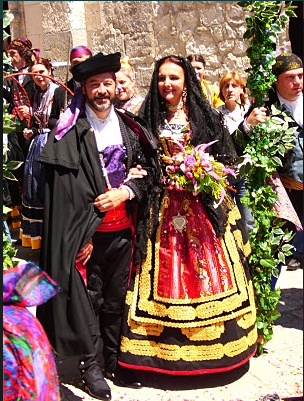 A very common bridal accessory is a wreath or crown of imitation or real flowers, here made of colored feathers. She is wearing both a small crown and a flower cap. 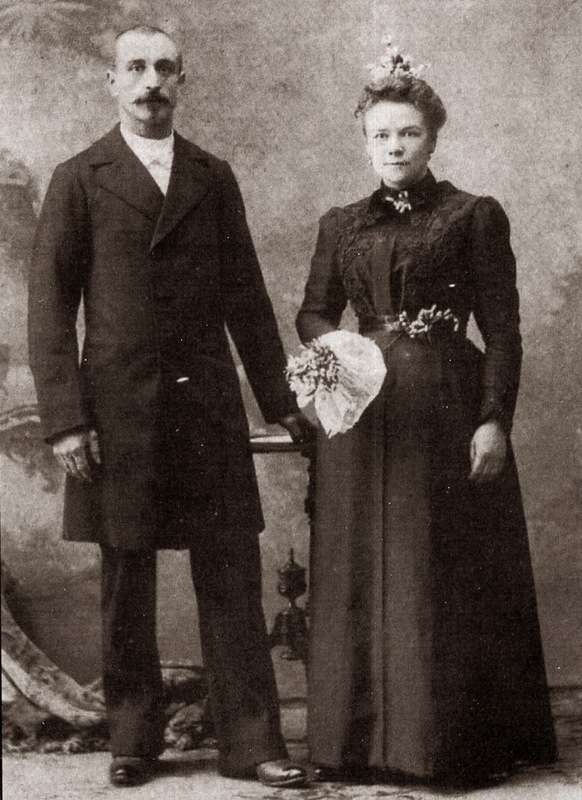 He is wearing a lace collar which is not part of the typical man's dress outfit. 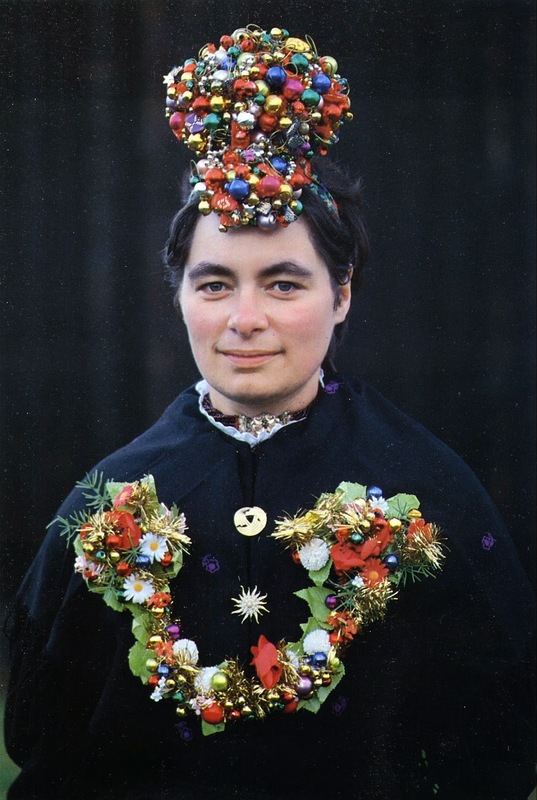 notice that here the flower wreath is around the shoulders rather than on the head. 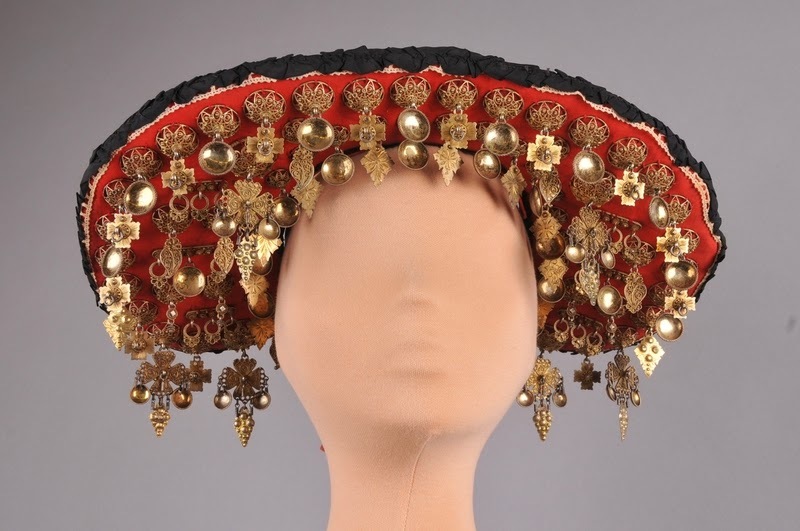 Sometimes, as here, the crown is quite small, although it retains the full symbolic meaning. The base of the crown is here hidden by the flowers. 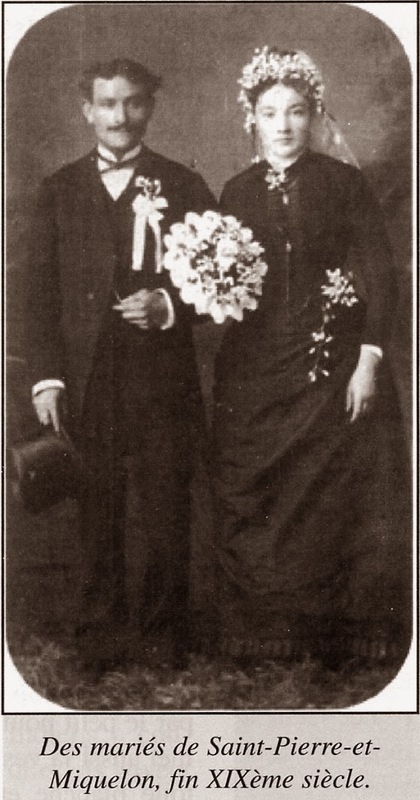 The bride is on the right, with the flowers and wings on her cap. This is the same outfit she would wear on any festive or ceremonial occasion. 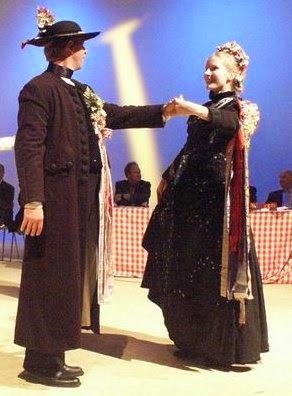 Colored blown glass balls are a common feature of German wedding crowns. These are made in the same way as Christmas tree ornaments. 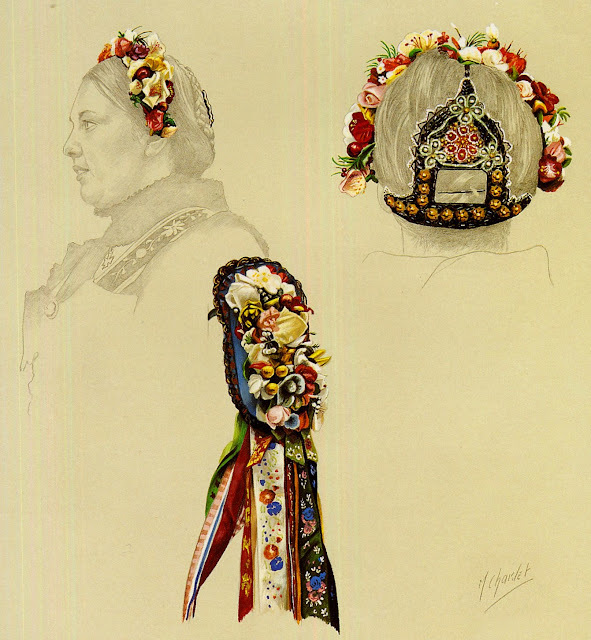 A wreath of flowers on the head, and also around the arm. The bridesmaids as well as the bride wear high crowns decorated with colored blown glass balls and other features. 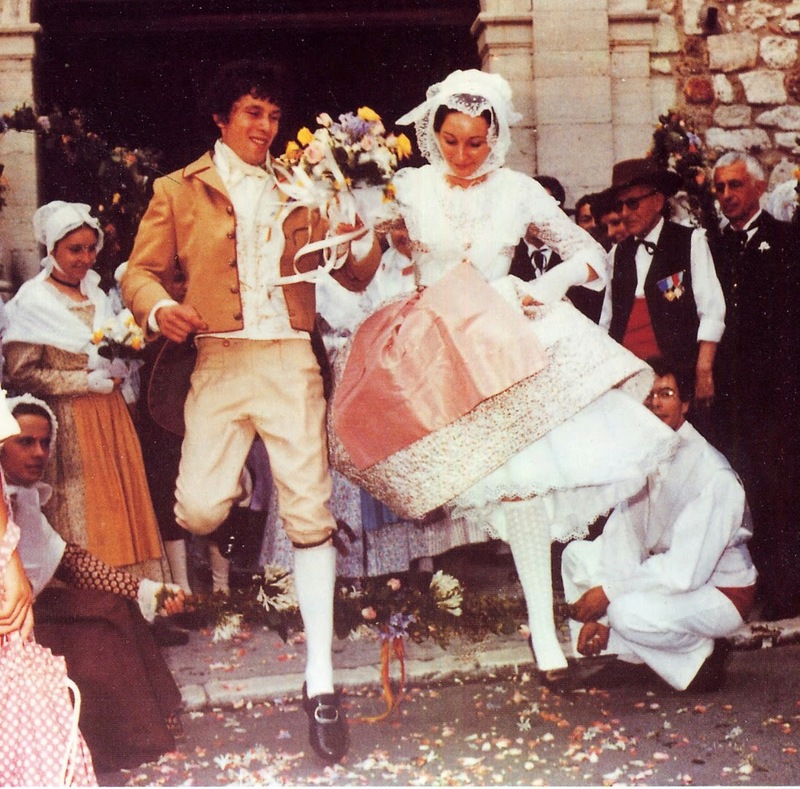 The bride also has a white lace fichu and a white apron. The bride and groom are marked here by the boutonnieres with ribbons attached. This is found in many other places in Europe as well. 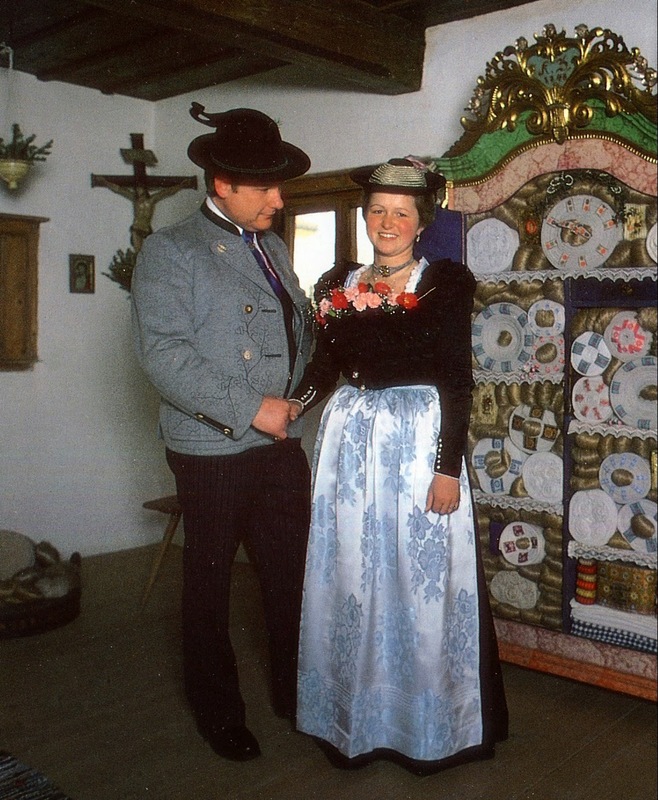 Also in Alsace, a bridal couple from Seebach or Oberseebach. 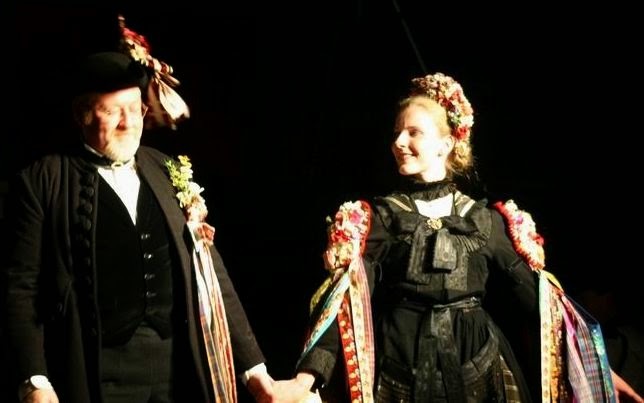 The groom wears a posy in his hat and a boutenniere with ribbons. The bride wears a crown and armbands with flowers and silk ribbons. Here are details of the bridal accouterments. 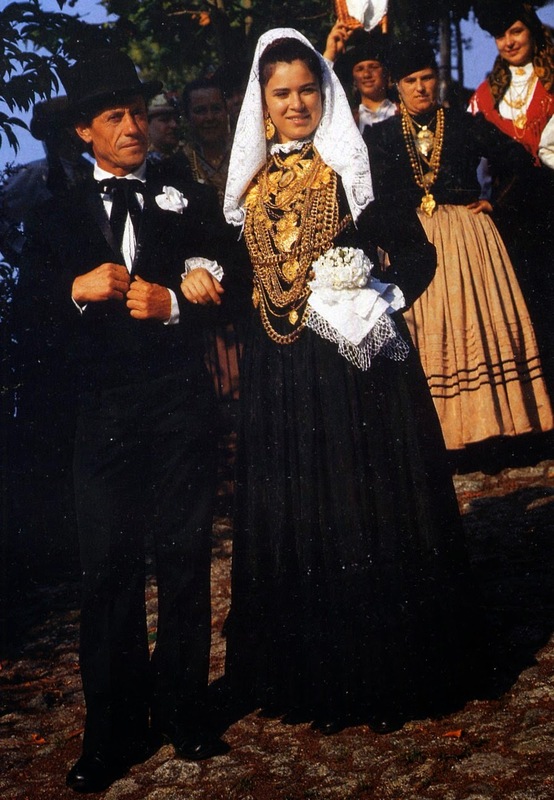 In the south of Sardinia, a traditional part of the wedding is the 'chaining' of the bride and groom. 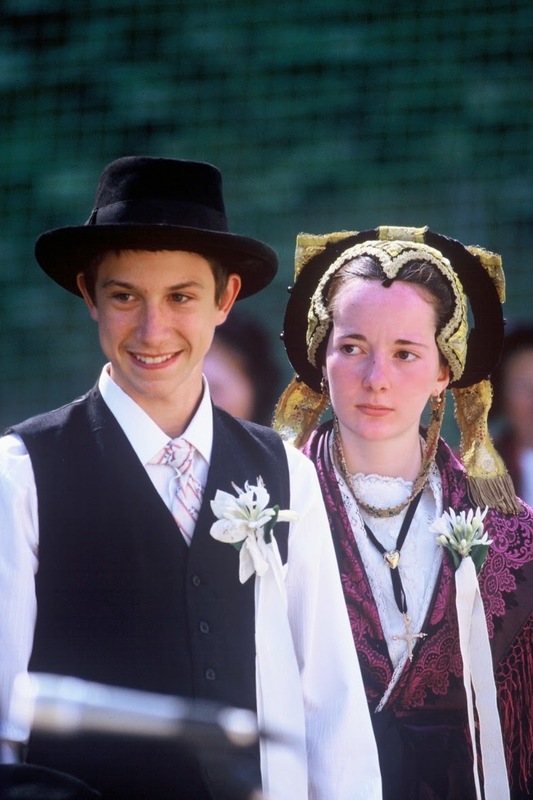 Here is an example of a modern style formal Austrian dirndle considered to be appropriate for a wedding. Thank you for reading, I will finish eastern Europe in another article, as I have simply found too much material to cover. 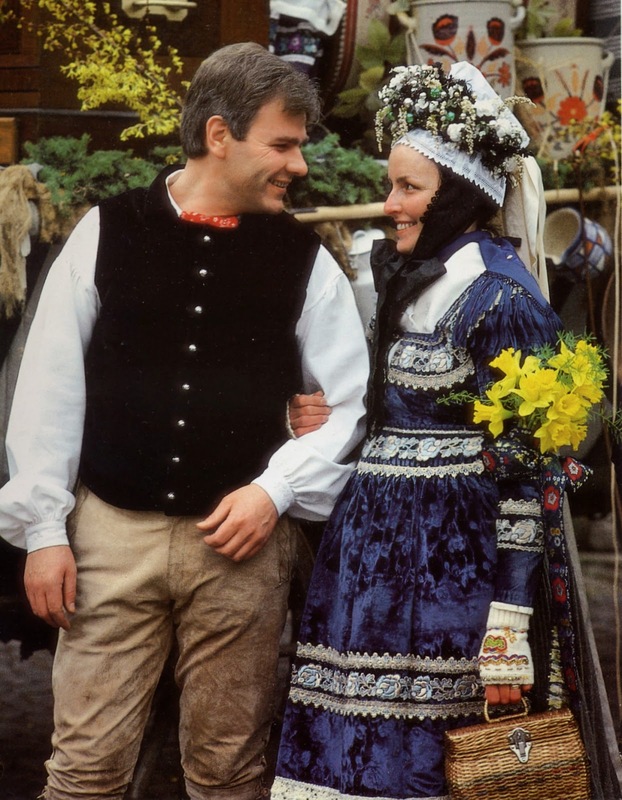 Wow, I never thought about it, but I think you're right: European wedding traditions seem very Eastern (and rather strange--I don't want to be handled like an item) indeed! Nordic wedding seems very nordic. It's always westerners (white race) who take the lead to go against them selves, talks BS - perversion and death wish? 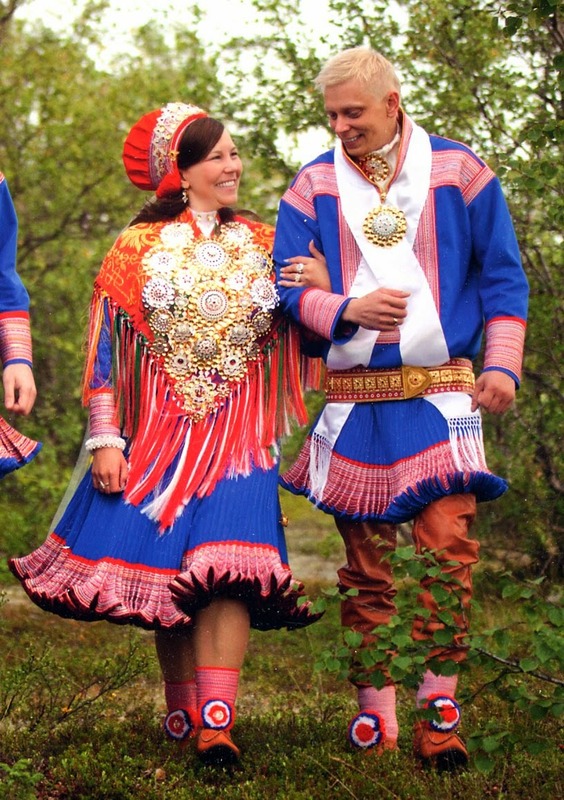 In the north we stand on own traditions, because they have also their roots here, are formed here. A culture belongs to a place, with its climate, it's energy, everything from their ancestors, and from different "levels/dimensions" - with our original nature somewhere else, call in heaven. A culture can not move to another place... there is no such thing as multicultural society... it's just a little timeframe where the elit destroys the culture, as the do with man and women, family. Yin and yang is perverted. Never before have man and women been so week as today, and they are under heavy attack through media, and homolobbyn, which now rules out there. No. They are genuine and strong. So I guess that today, they have been under heavy brainwashing and that the women now go agaist theur inner true nature, and maybe call them selves "islamists...", feminists... - it's disgusting. An all will be victims, and most the children. This photos you have put up - thank you! 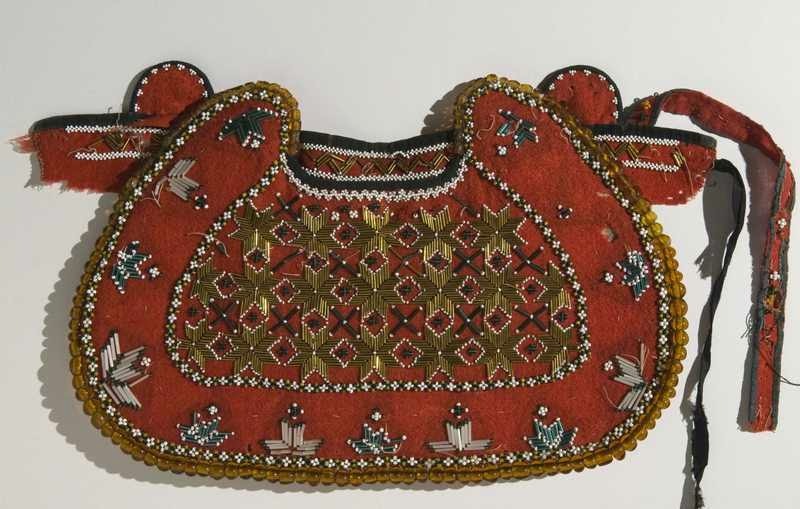 Many dress contents are derived from Ottomans e.g. trousers, bloomes, coats etc. 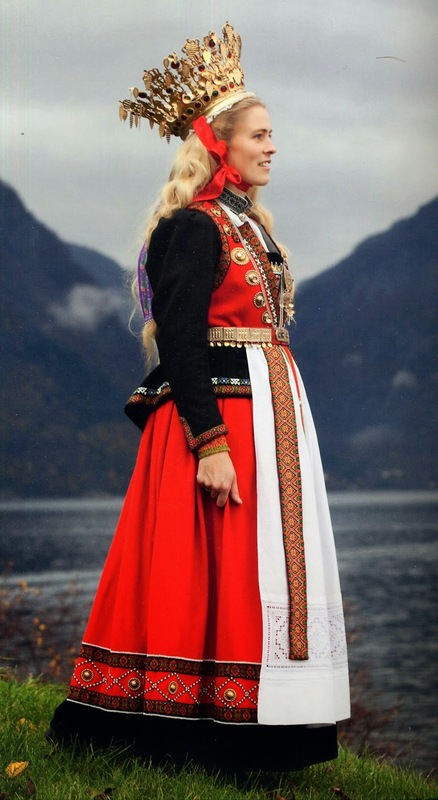 So traditional dress of europe is not on its very roots but combination of both east n west. Lovely photos! The men's clothing is also very interesting, and very beautiful. Love to see men dress up too. Are most of the color photos current? 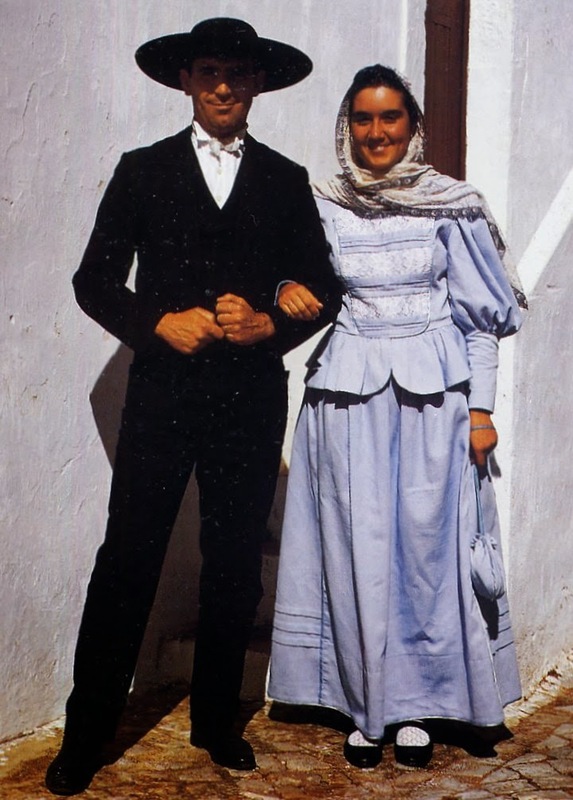 And don't forget Asia - the wedding clothes there are fabulous too! The color photos are indeed current. 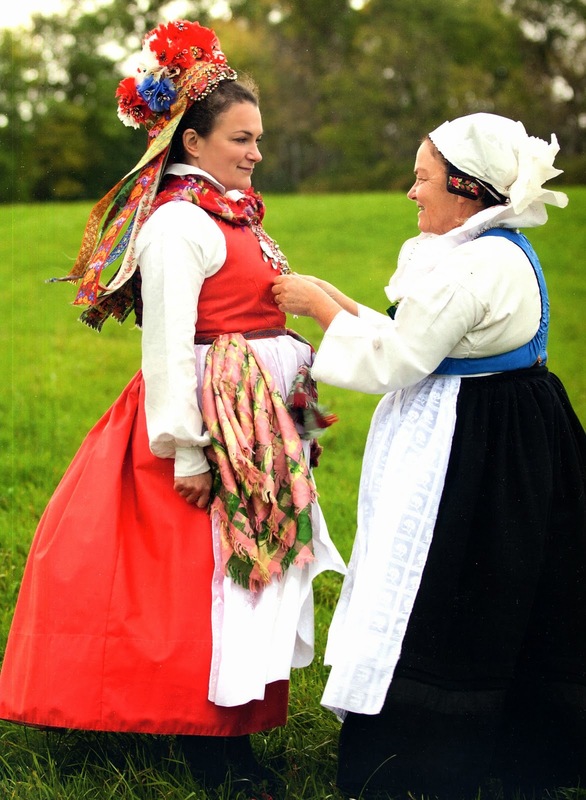 Many of these are very local traditions and are followed by relatively few people. 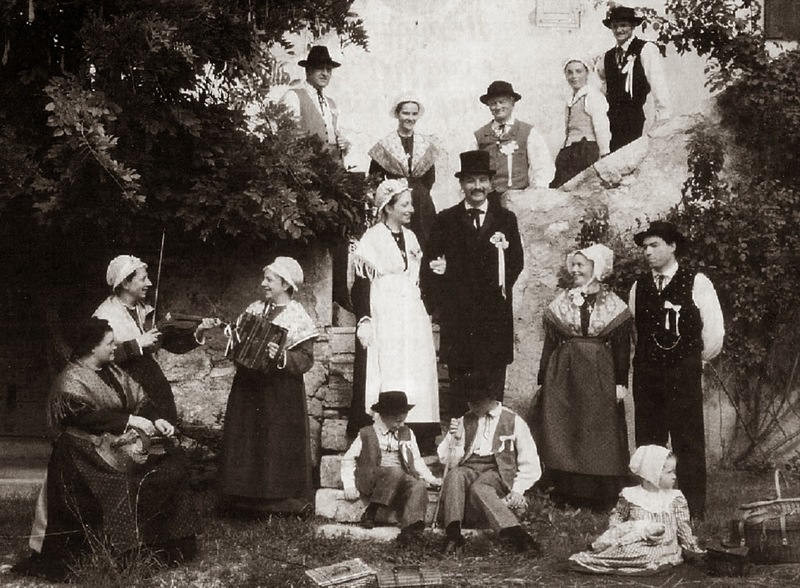 There are, however, many groups which strongly strive to keep such traditions in practice. As for Asia, that is rather out of my realm of comptetence, and it is relatively well known that they have many spectacular Wedding traditions. 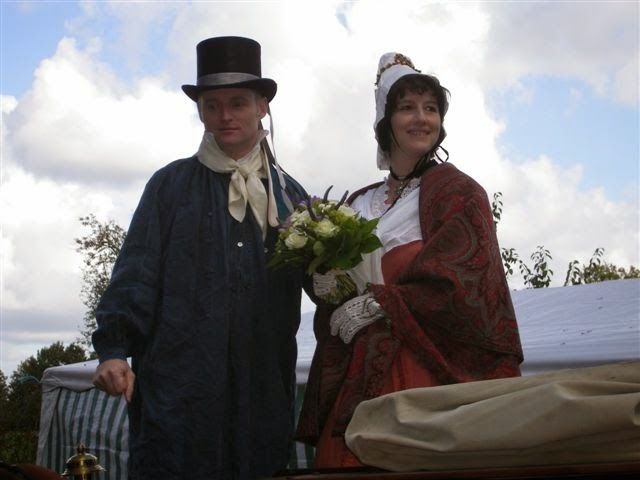 My purpose was to address the misconception that the white Victorian wedding dress is ancient and traditional, and present some of the traditions which are older and still exist in spite of it. 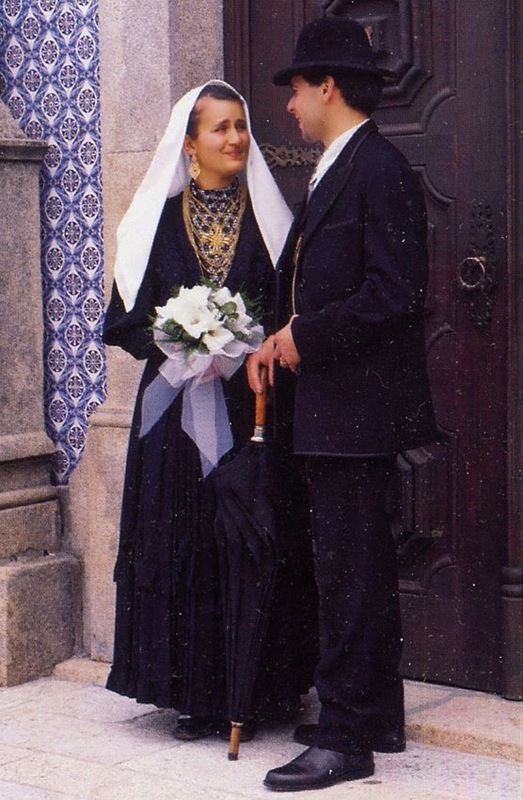 As a woman, I absolutely detest the supposedly 'traditional' aspects of modern western weddings that you mentioned, and I agree they aren't really western at all. No one will ever give me away, that's for certain. 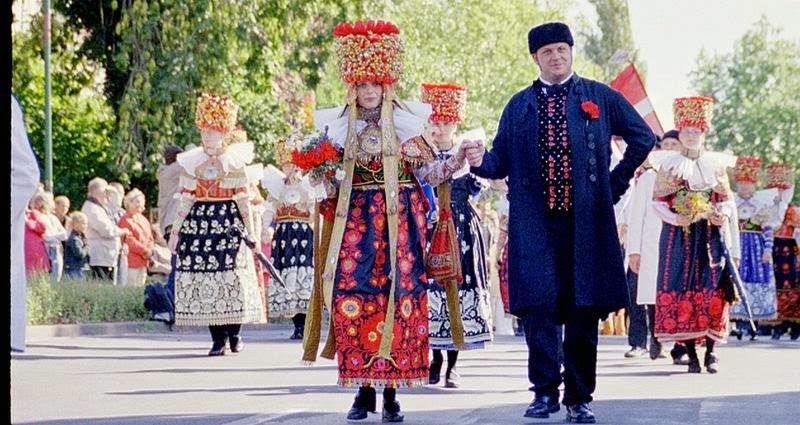 In Ukrainian weddings, the tradition is for the bride and groom and their entourage to meet early the day of the wedding. They visit both sets of parents to receive their ritual blessings. 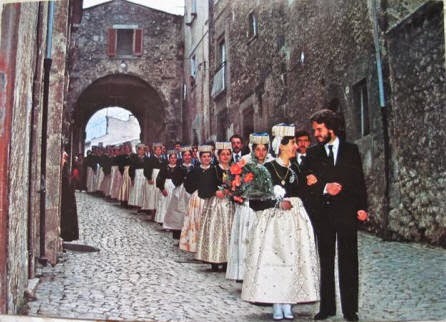 Then together, but not holding hands, they lead the bridal party and the entire community to the Church, accompanied by musicians. This may be on foot, or in carriages, or by car, these days. 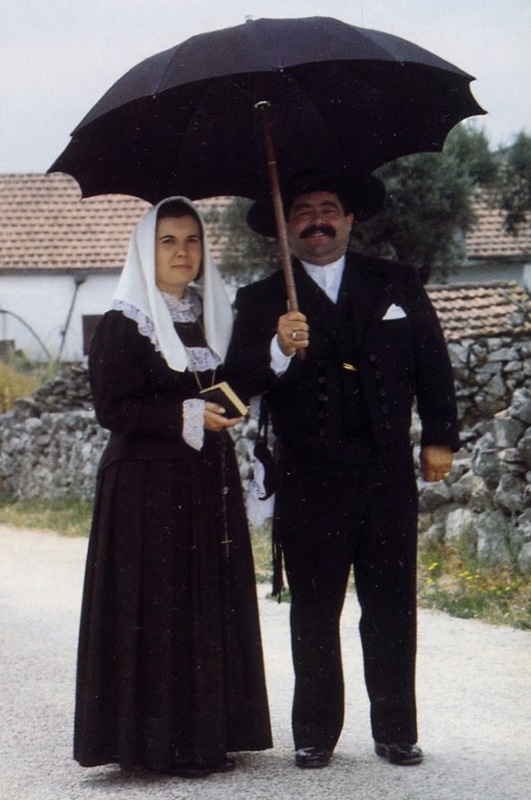 They are met at the Church doors by the priest. 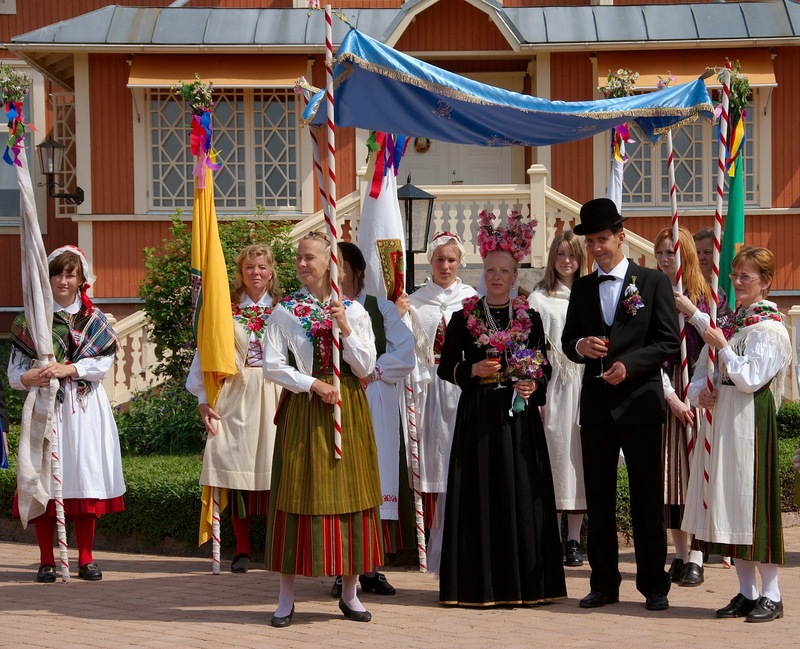 The ceremony of betrothal is generally held there, in front of the Church, where the couple exchange rings. Then they follow the priest into the Church, the bridal party and the congregation following them. 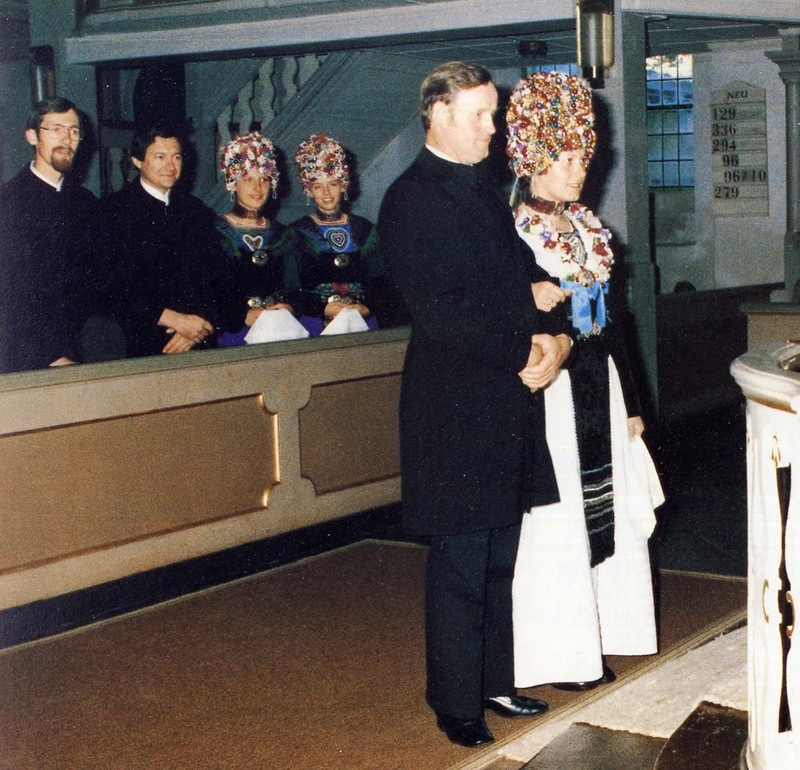 The Wedding ceremony itself takes place at the front of the Church, which involves the crowning of the couple. This is considered to be the pivotal point of the ceremony. Afterwards, the couple, now arm in arm lead the bridal party and the community out of the Church. The musicians rejoin them outside, and they lead all to the reception feast. There are of course many other details, but this is what traditionally happens. 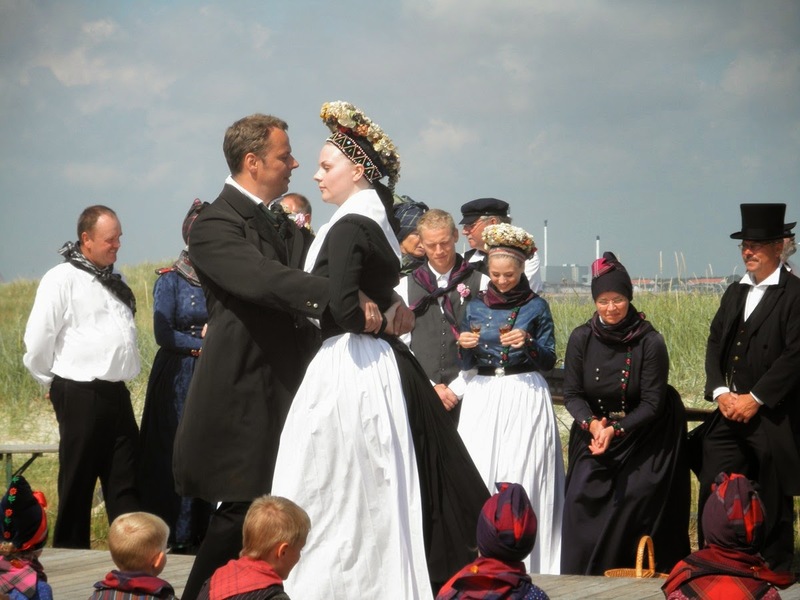 Loved the blog posts.. please don't forget the Netherlands and the unusual costumes of Friesland! Please keep these photos up. There is so little evidence now to connect us to the traditions of our mothers and fathers. 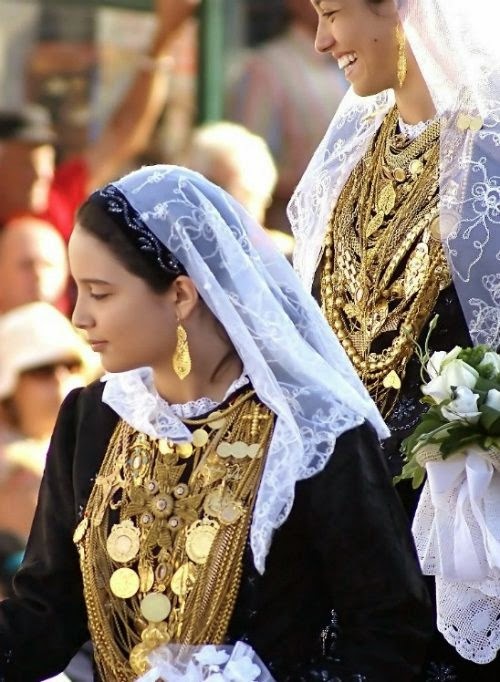 As a woman, I wish I could have a traditional dress such as these for my wedding day. Hello! 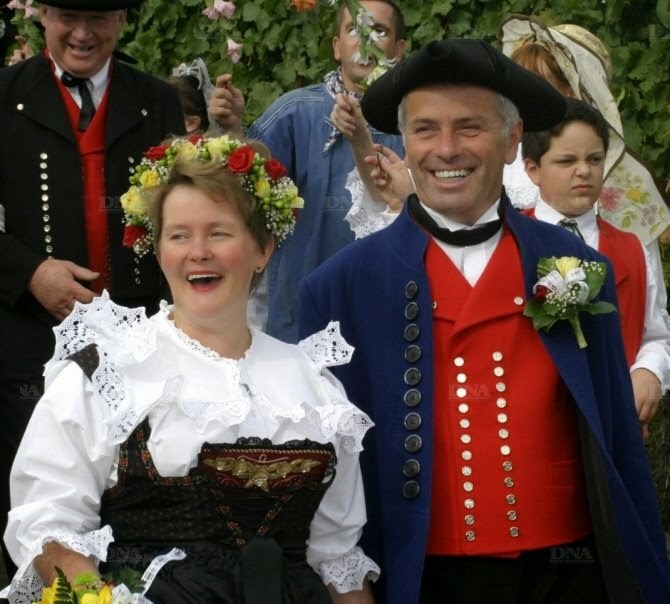 I want to ask about traditional bridal costume of Lorraine, France, does it have the same style as the Alsace's? 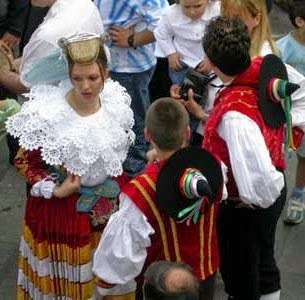 The costume of Lorraine is much more similar to that of other regions of France. 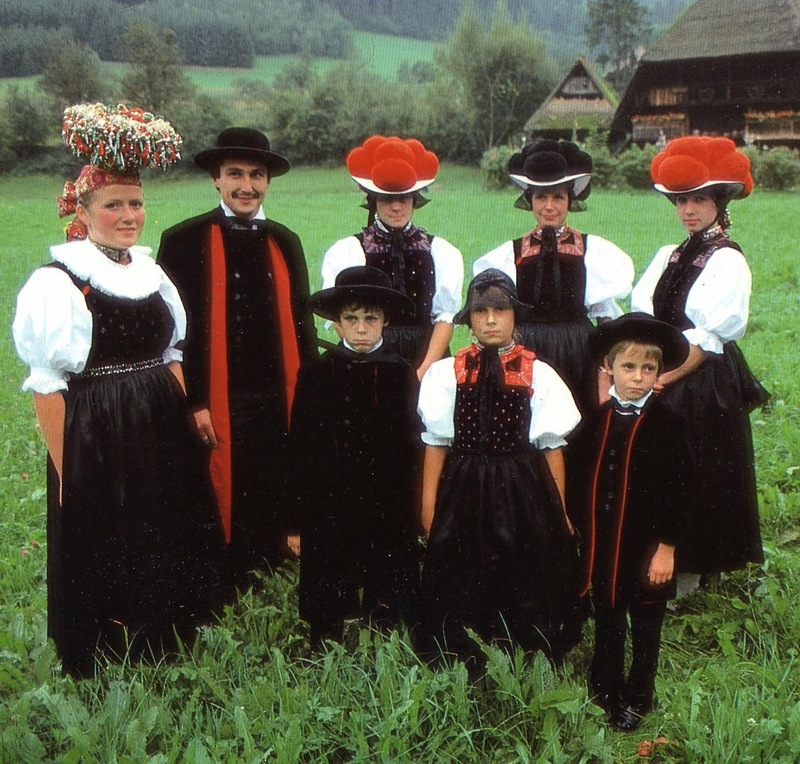 The Alsace costumes are mostly very German in origin. 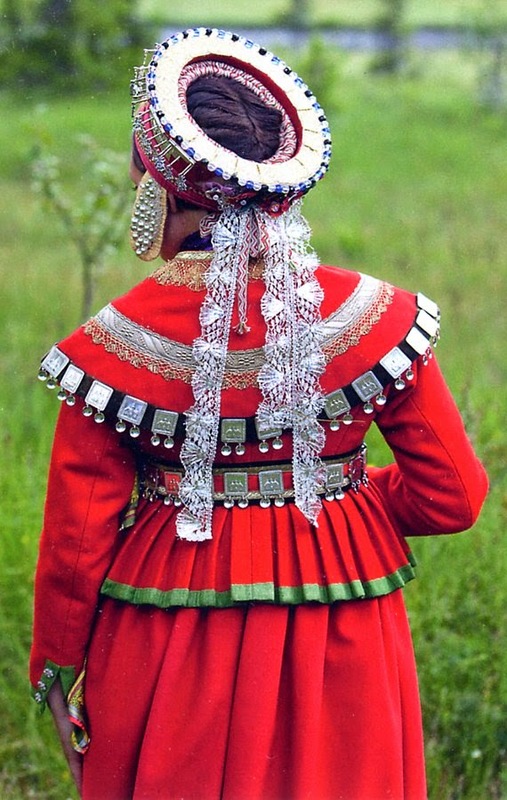 the bridal costume shown is from one small region. 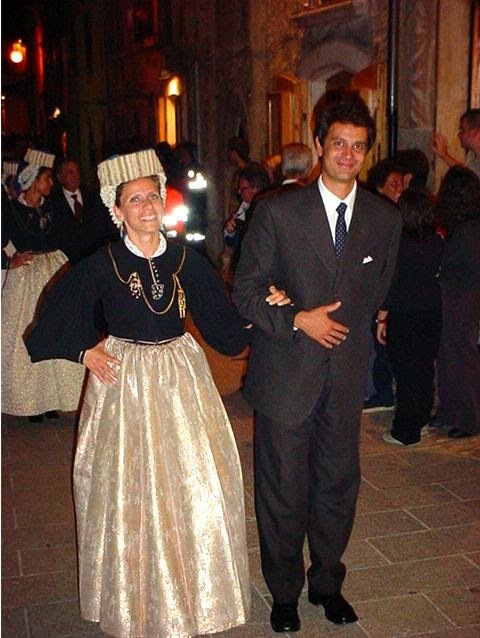 email me and I will be able to send you some images of the costume, although I have no information on bridal dress. 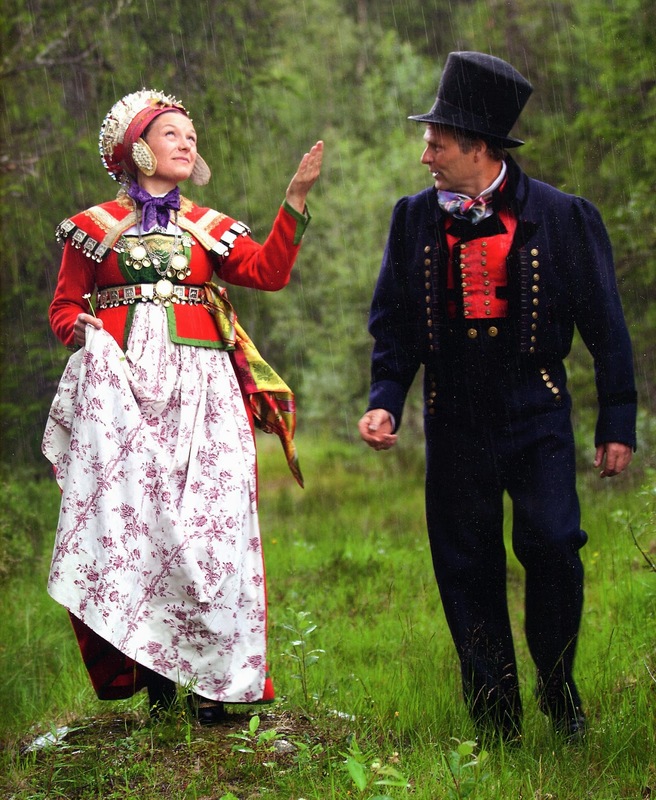 I understand this is an older post, but even though it is a part of Finland, Jomala IS part of Åland, and therefore, mainly Swedish-linguistically and culturally. Thank you for your information. I was not aware that Jomala was part of Åland. 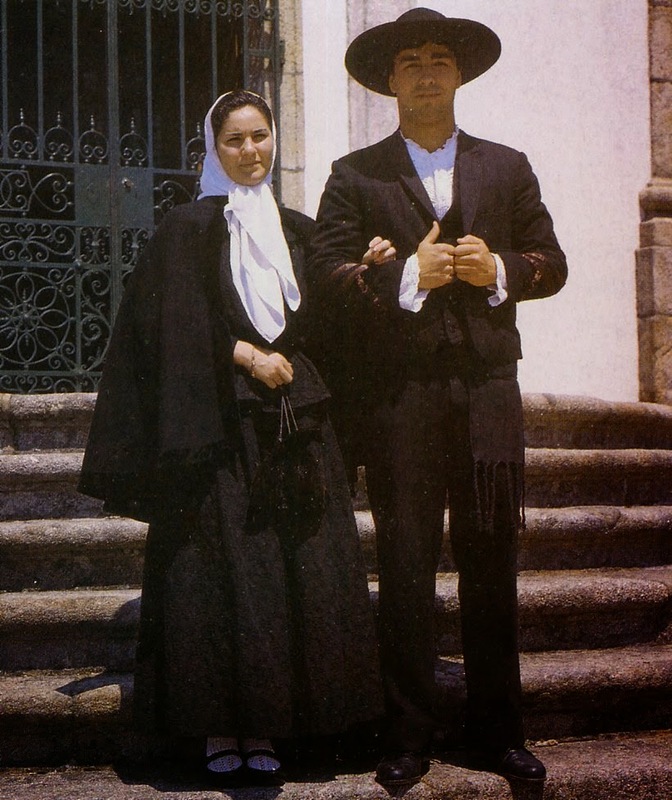 Nice and unique collection of western wear. Keep sharing..!! WoW! Nice Designs..This is absolutely gorgeous.Thanks for sharing!! What a beautiful shoot! Love all the detail shots. Great my friend, you have brains. You have shared some truly fabulous ideas in this blog post.Loving the info on this internet site, you have done outstanding job on the content.